The original woolshed on the farm has been converted into accommodation, using largely recycled materials. The aim was to maintain the original character of the building, the history and essential Kiwi-ness of it, as well as making it as eco-friendly and sustainable as possible. We have retained various of the original woolshed features - the woolpress now houses the hot water cylinder, a shearing plant graces the wall, and one wall is covered by corrugated iron previously cladding the outside of the woolshed. The living area floor is natural timber, and the remaining living area walls are clad with native rimu taken from the exterior of a demolished woolshed at Whitehall. Add in quality lights and furniture and the result is a quirky, cosy, country cottage, ideal for romantic getaways or families who enjoy being surrounded by nature. Comfortably accommodates four. See our website for photos, and for up to date availability. We are environmentally minded - so whilst you will find everything you need here, we have deliberately omitted various 'luxury', non-environmentally friendly items. There is a microwave, but no dishwasher, clothes dryer, or electric blankets ;-) The Woolshed is however fully insulated, and has a log burner for those cooler winter days. Enjoy farm walks, birdwatching, and bush walks. Hang out in our Native Garden and fire up the Pizza Oven or built in BBQ. Pets by prior arrangement; please advise in advance for any conditions. We are working to reverse the damage done to this farm over the last 100 years, by protecting streams and gullies and replanting native bush. Your stay in The Woolshed will help us fund our conservation efforts! 7.5km from Te Miro Mountain Bike Park; close to Maungatautari Ecological Island, Lake Karapiro, and Mystery Creek (30 mins). 15 mins to Cambridge's quality cafe's and restaurants. 30 mins from Hamilton or Hamilton Airport. Follow us on Facebook! Search for Cassie's Farm. Please see our website for up to date availability. Enjoy the peace and seclusion, or experience farm life. Central base for many tourist attractions. 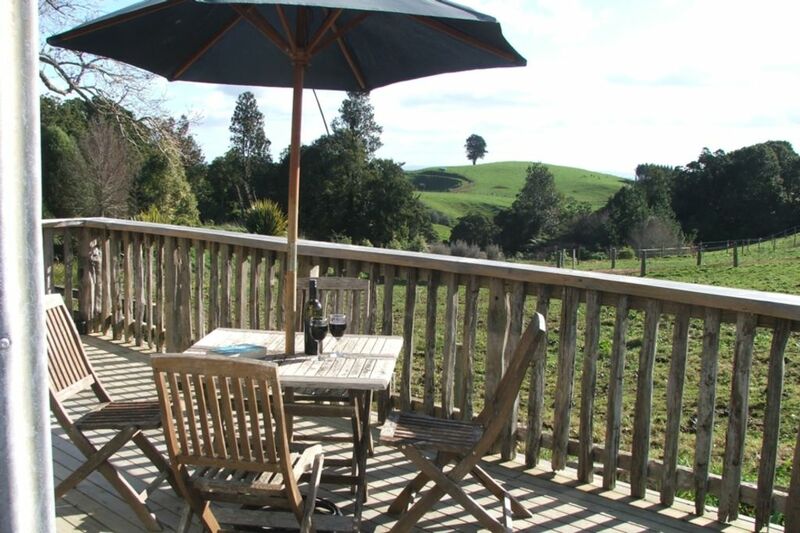 Sit on the private deck, with unobstructed views over our 200 acre farm. Perfect for stargazing and/or a little ‘getaway’ from everything. My fiancé and I loved the decor, and the wonderful, peaceful countryside. We had a lovely stay here, and our wee dog enjoyed it too. Beautiful view, and so peaceful. Thanks so much for having us, and we definitely plan to return in the future. Thankful for a restful setting as a pet friendly base so we could visit my mum in hospital. Perfect. Aesthetically converted wool shed. Friendly hosts. Lovely farm walk. Lovely to meet you, glad you enjoyed your stay! We thoroughly enjoyed our stay. The hosts were super friendly and helpful. Awesome tour of the farm thanks Ian - wonderful to see the passion you are putting in to restoring the farmland to its original state. Was very private, warm, practical and unique. Our puppies loved it too. Many thanks. We hope to be back. Great location. Lovely to get out of the city and actually be able to see the stars. Very cosy and super comfortable.